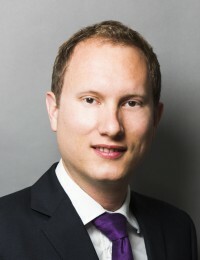 Jonathan is a property, pensions and commercial chancery barrister. He has a specialist professional negligence practice on matters arising from his core work. He is instructed on one of The Lawyer’s Top 20 cases for 2019 (as he was in both 2015 and 2014) and listed in Who’s Who Legal. Jonathan is as comfortable acting as sole counsel as being led as part of a wider team. He has particular experience of substantial High Court trials. As sole counsel he has appeared in the Court of Appeal, regularly appears in the High Court (Chancery Division, QBD, Comm Court and TCC), and before various tribunals including the FTT, UT or Pensions Regulator DP, often against silks or senior juniors. He is regularly instructed to appear before the DIFC Courts in Dubai, and acts in mediations and arbitrations. Canary Wharf v European Medicines Agency  EWHC 335 (Ch): In the much-publicised “Brexit” case, Jonathan acts with Joanne Wicks QC for the landlord Canary Wharf in arguing that Brexit will not frustrate the EMA’s lease. Permission to appeal the decision has been granted. A major pensions dispute, led by Michael Tennet QC and Edward Sawyer, on rectification, RPI/CPI, and the validity of amendments. Acting for the victims of a major property investment fraud relating to development land in central London, including a successful finding of fraud on a summary judgment basis: Aurora Developments v Delta Holdings  EWHC 1047 (Ch). Reedbase v Fattal  2 P&CR 14. Jonathan appeared as sole counsel in the Court of Appeal for the successful landlord on the first appellate case on a landlord’s obligations to consult and a change in proposed works, and the first in the Court of Appeal for over 25 years on the obligation to make good. Acting as sole counsel in the DIFC Courts for Barclays on a multi-million guarantee claim. Knapper v Francis  L&TR 20, appearing as sole counsel before the Upper Tribunal on the operation of on-account demands under the terms of the lease and the 1985 Act consultation regime. Matchmove v Dowding  1 WLR 749, led by Jonathan Seitler QC on a leading recent case relating to constructive trusts. MASNOL v Cripps Harries Hall  EWHC 2483 (Ch), led by Jonathan Seitler QC successfully defending two solicitors accused of fraud in a major Chancery Division trial. Pollock v Reed  Pens LR 129, led by Robert Ham QC, acting for the employer on a attempted scheme restructuring through a bulk transfer without member consent. Comprehensive in his approach, an impressive and effective advocate.